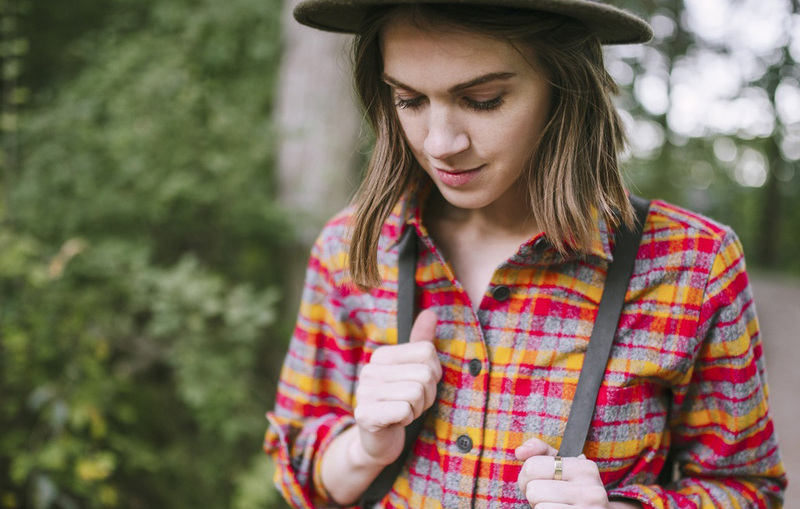 This spring, Tradlands, founded by #modernoutdoorswoman Sadie Roberts, is releasing its latest line of menswear-inspired shirts for women. 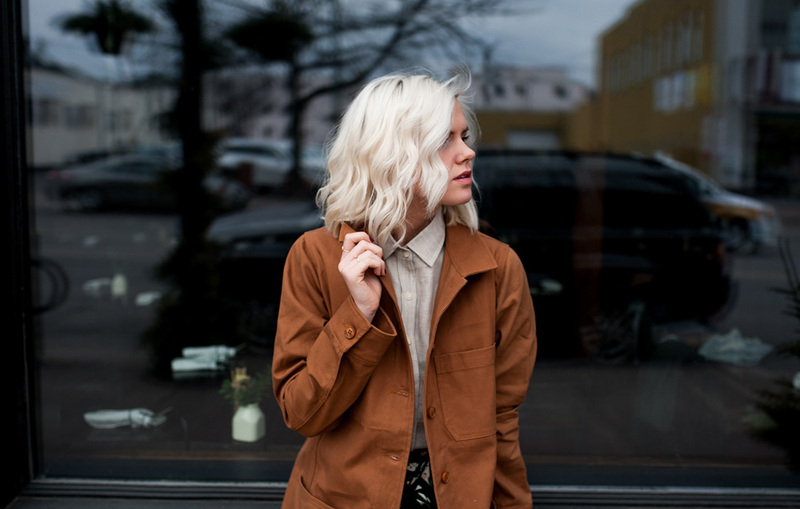 Made out of durable fabrics sourced in the USA, Tradlands focuses specifically on fit and finish. 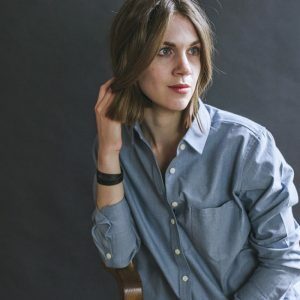 Not only are their customers wild about shirting, but Sadie also attributes the company’s loyal fanbase in part to a commitment to customer service and feedback. “We really over deliver on the promise of a great shirt,” she told us from her home in Oceanside, California where she recently relocated with husband and Tradlands partner, Jeremy. “I answer 90% of the customer service emails and I know our customers personally. 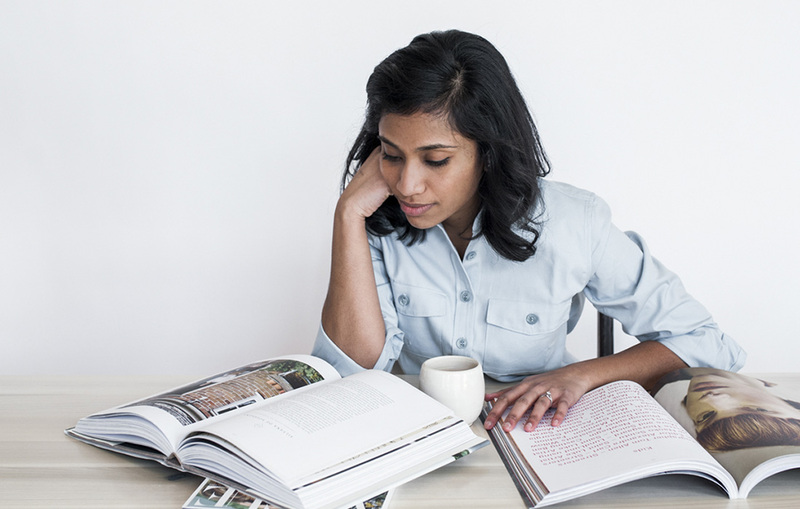 They’re a big part of our life and what we do.” Tradlands just passed the three-year anniversary of launching its first line, so we asked Sadie to take time to reflect on how her company has become what it is today and where she sees it going in the future. Q. Do you find that you’ve stuck to the initial vision you had for the shirts? A. The big thing that changed our vision was hearing from customers about what they were looking for. I think what resonates with a lot of women is this idea that you walk into the menswear section and think, “I wish they made that for me.” But what I didn’t realize when I started out was that the menswear-inspired fabrics and prints weren’t actually the shirts that sold the best. After hearing from people, the vision transformed into what those customers were looking for. Q. What are the shirts that sell the best? A. 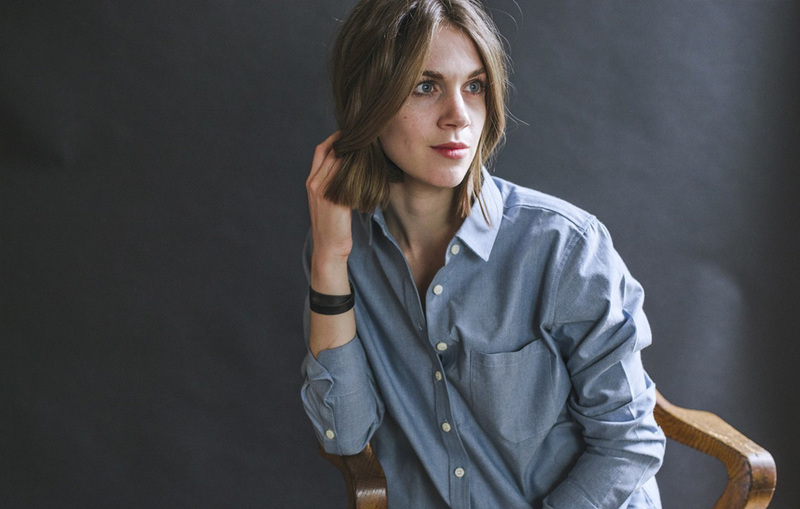 The shirts that sell the best are the solid shirts in chambray, grey and oxford styles. We have a white oxford shirt that really kills it. We also do a red and black buffalo check we have a really hard time keeping in stock. Q. 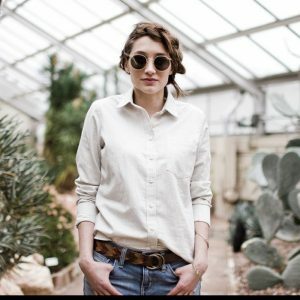 What is your all-time favorite Tradlands shirt from any collection? A. One of the shirts is called the Jessica and the original color is the Jessica Grey, which is named after my mom. My mom has always been a huge inspiration to my personal style and I find that answers usually come back to my her. As I’m getting older, I realize how much I’m like her. The shirt is a nice kind of tie in with her history in fashion and what my closet has become over the past few years. A lot of grey shirts! She has this kind of effortlessness and comfort and ageless beauty that I want women to feel when they wear our shirts. Q. How do you choose your fabrics? A. The hardest side of manufacturing in a conscious, ethical way is making sure your fabrics are coming from a great place and that the quality is consistent. It’s a huge part of the overall integrity of a piece of clothing. We often ask our customers via our email newsletter, Instagram or Facebook which fabric they like the best and we go with the top choice. A lot of times it’s not always the choice that I would make, which I love because I’m not just making shirts for myself. I’m making shirts for a community and I love getting their input. Q. 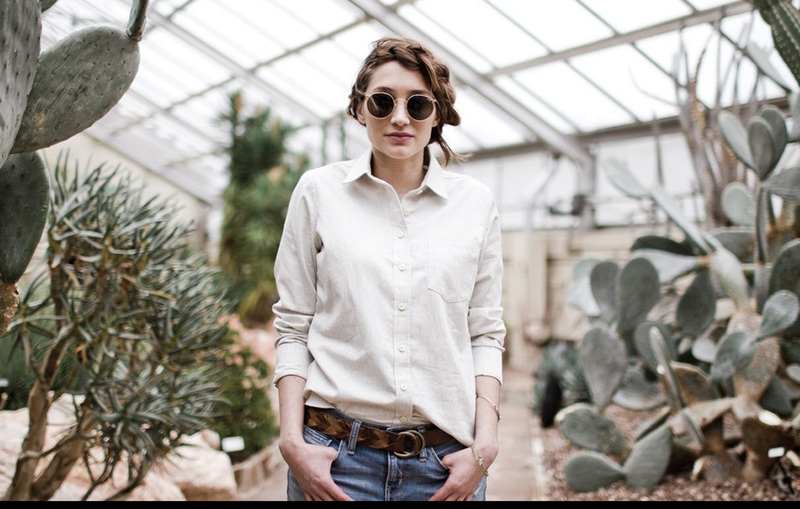 You moved to Maine from San Francisco right after you started Tradlands. How were you inspired by both of these locations? 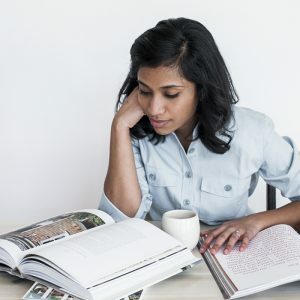 A. It’s less about the surroundings and more about how people, especially women, function in those surroundings, whether it’s San Francisco, which is a very hip, albeit casual place, or rural Maine where women are outside gardening and farming. Although we don’t call ourselves an outdoor brand, we really do try to make clothes that are functional and can look great in many situations. Q. What’s new in the spring collection? We’re coming out with a chore coat that we’re really excited about collaborating with the Poor Porker on. They just opened a shop in Florida and they need work clothing they can get dirty and wear out. And we’re doing some new tunics with Lizzie Garrett Mettler of The Reed. We did them last year and they sold out in a day, so we’re doing a bunch more this season. Q. 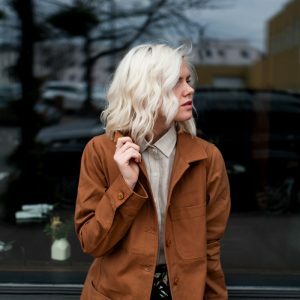 Where do you see yourself and Tradlands in the next three or four years? A. I’ve been wanting to make some pants for a long time. At the beginning, I thought we’d just make everything right away, but that wasn’t possible at all and what we actually learned is focusing on doing one thing really great for a while has been a big key to our success. But now we’re in the place to kind of stretch our legs a little bit and so I’m hoping to kind of introduce some stuff that we’ve been thinking about for a long time. Christie Wright climbs, hikes, bikes and surfs around NYC. She writes about adventures near the city in a newsletter called Sorta Outdoorsy.